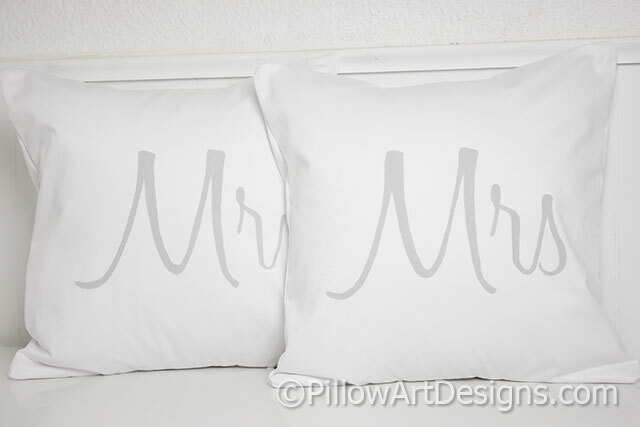 A set of Mr and Mrs pillow covers with modern and simple styling. 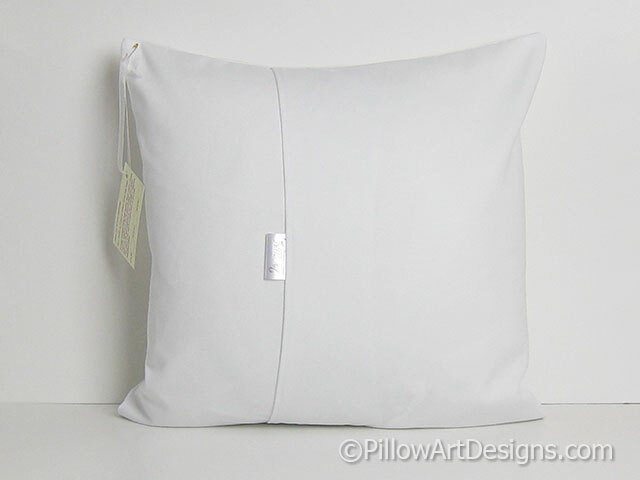 Made to fit pillow inserts sized 16 inches X 16 inches (not included). Painted in 'stone grey' on white cotton twill.